Aircel has launched a new awesome offer to use free internet . This is not a trick from us but this is an official offer from aircel. This offer is for free internet and in this offer you will get free unlimited 3G offer on aircel in mornings for only RS 5. The timing to use this offer is 6 AM to 9 AM and the validity is for 30 days. 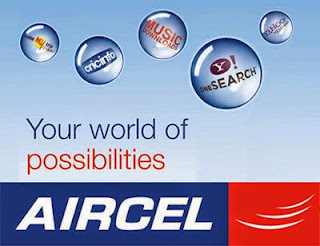 We have got the information from Aircel official website Fonearena website . You can use this Aircel Morning Offer To get Unlimited high speed internet. There is also some disadvantages in this aircel Morning offer that is it is working in only some states and also in some states of india it gives calling offers for this morning offer or gives 100Mb 3g Data or 100 Mb 2g data in Rs 1. This details also we got from aircel official site. Sources For Calling offer . For States in which they provide calling offers are karnataka here you can get 100Mb high speed internet and then 32 Kbps unlimited internet or free Aircel To Aircel Calls.